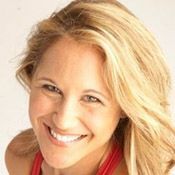 As a fitness enthusiast, Jennifer knows there are special considerations for runners, cyclists, and endurance athletes when practicing yoga. These issues include repetitive movement that can wreak havoc on the body, and the tightening and knotting of fascia and connective tissue that can make it difficult even to move into a muscle. This practice addresses these issues to create flexibility and mobility in the body. Runners also typically inhale much more than they exhale in order to keep a fast pace. Learn to breathe smoothly and steadily to support a more relaxed and steady running pace.